Dunfermline Delivers is inviting suggestions for local heritage plaques to bring the history of Dunfermline up to date. 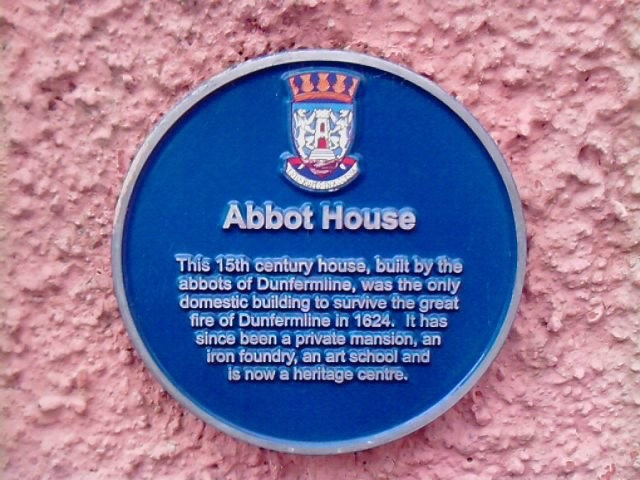 Currently, blue plaques mark 28 significant city centre landmarks such as churches, civic locations, places connected with Andrew Carnegie and symbols of Dunfermline’s industrial heritage. Now Dunfermline Delivers wants to recognise more recent and diverse landmarks, in order to update the heritage trail. Local MSP Bill Walker welcomed the news: “The plaques are a simple but great way for tourists to make the most of their time in Dunfermline and for local people to enjoy their heritage. “Dunfermline has a very rich history — with its connections to Robert the Bruce, Andrew Carnegie, Malcolm Canmore and so on — but recent history can be fascinating too and can be especially meaningful for local people. By the end of April, Dunfermline Delivers aims to replace five plaques currently missing from various landmarks, after which it will begin installing new plaques. Anyone with suggestions about locations, events or people that have significance for Dunfermline — not restricted to the city centre — can contact Dunfermline Delivers at dunfermlinedelivers@btconnect.com.